Crochet online free tutorials, free crochet flower patterns, many crochet flower patterns, huge library of crocheted and knitted flowers, follow along with the video to crochet a flower. This free crochet flower pattern is great for embellishing any of your crochet and knitted projects. This incredibly beautiful flower design is created by making the puffy picots in the center. These picots look like little crocheted beads that are lined up in the round in the center of the flower. 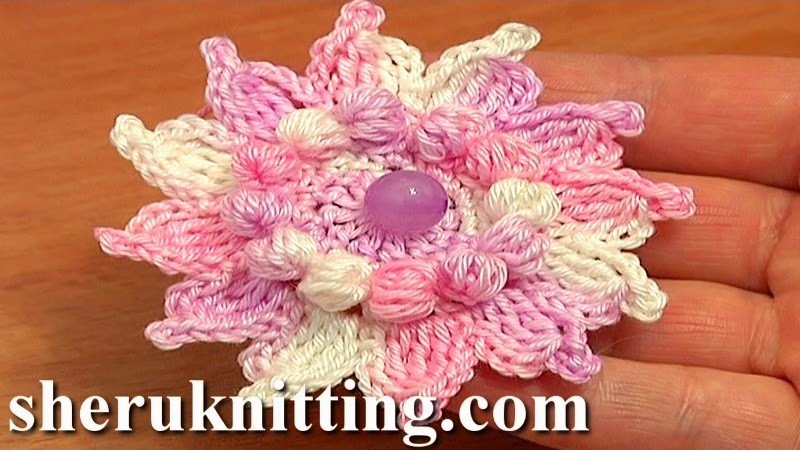 No matter how difficult it looks, this very interesting crochet flower is quick to make. Please try it! Thanks for watching!